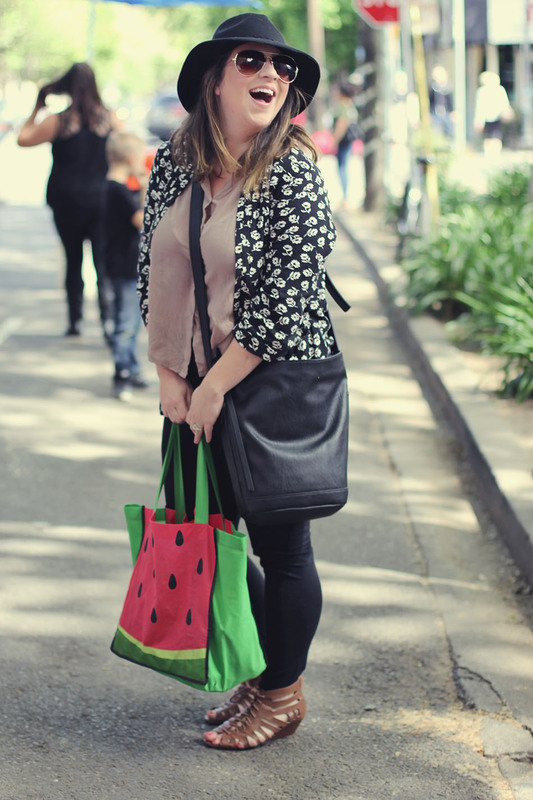 I just loved her watermelon bag and that infectious laugh! I brought a big bag to put all my new found goodies in. A wide brimmed hat for sun cover and a light trench for the morning breeze. This outfit takes the cake for me. Pastel plaid with a belted waist?! I proceeded to ask her if we could be best friends and share clothes. Yes, she agreed. 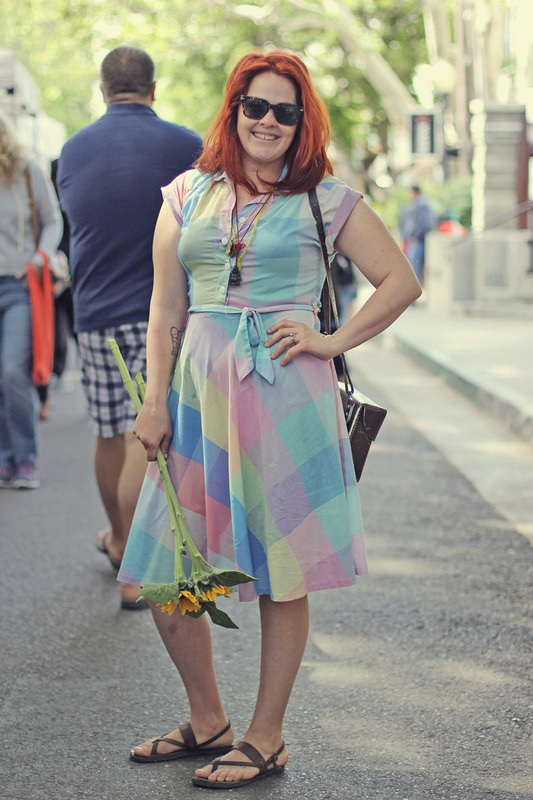 I bumped into my gal pal, Nicolette, who was keeping it easy breezy casual for the market. Throwing on a button up over a dress is a great way to add warmth for the morning and then peel it off when it heats up. This is my friend Adam! We grew up together on the same block. Now we work 5 blocks from each other and we’re both designers. How crazy is that?! All those days spent playing on his dad’s early 90’s macintosh’s computer have paid off! I liked how they paired their athletic shoes with a casual button up. I loved this couples look because it went so well together. They both have their zip up hoodies with touches of black and brown sneakers. Bravo ladies! 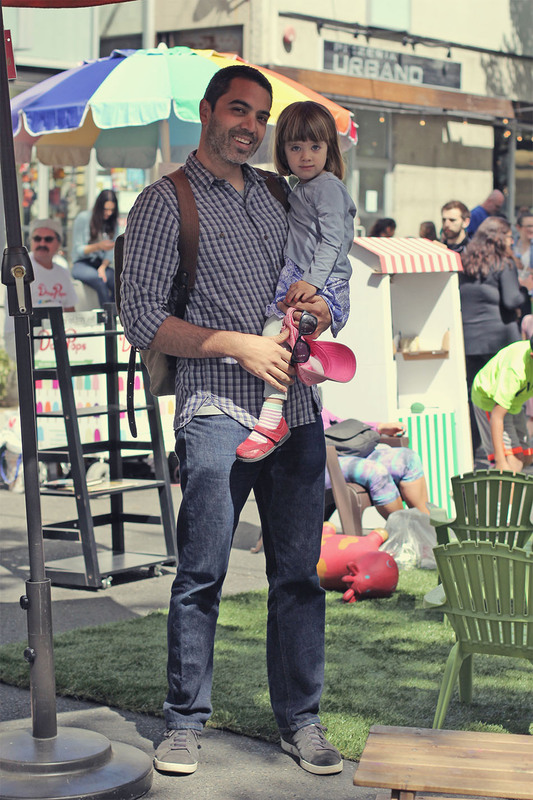 This is Albert, a fellow Instagram lover, and his sweet daughter who let us steal her from the play area for a photo opp. They were quite the dapper duo. Plus, it’s always fun meeting IG friends out in the real world! 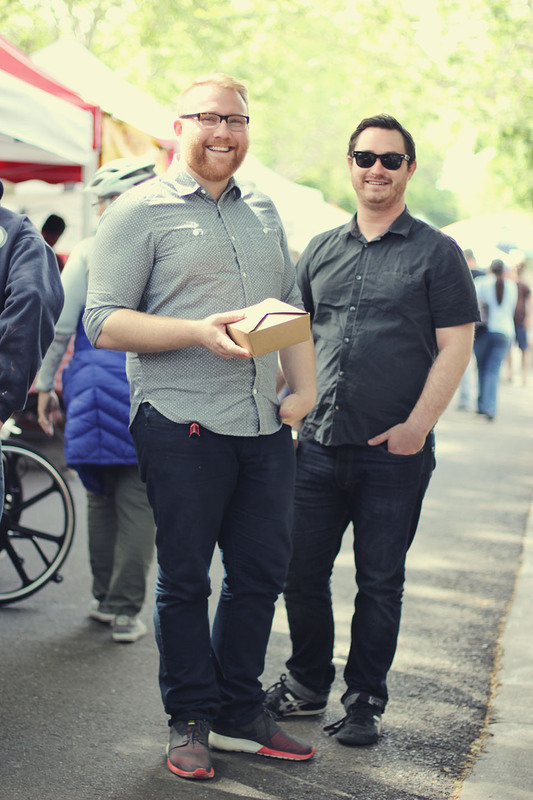 If you’re local, I hope you get the chance to head over to our farmers market. It happens from 8am-1pm, every Saturday on 20th and J st. Enjoy! Preview Previous post: Brown + Black = ? I like your perspective. 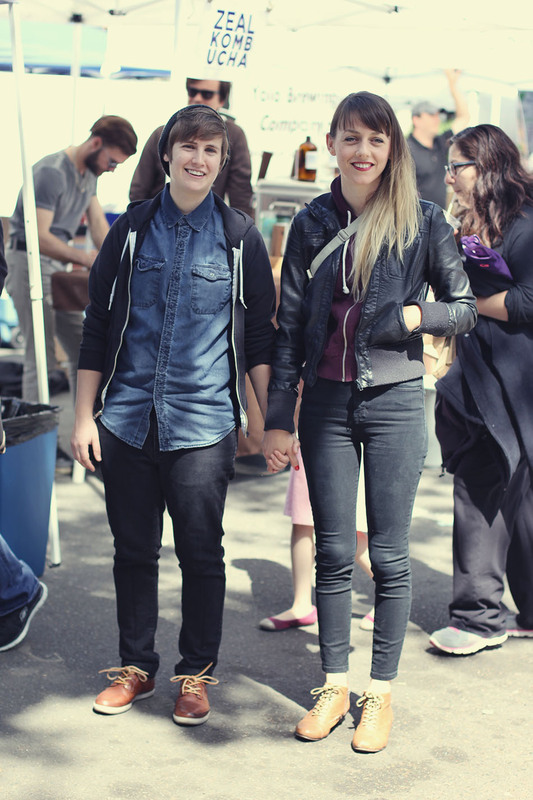 Looks like DENIM was huge at the last market!